Chelsey and Brett recently purchased their first house near the small city of Buffalo. 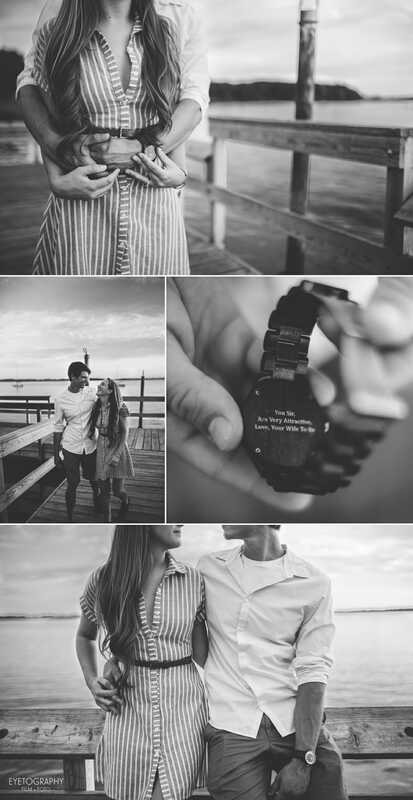 We were a tiny bit wary when they said they wanted to do their engagement photos there, but the little town quickly won us over. It’s nestled on the edge of a beautiful lake, and the park where we met them trails right into downtown. There were cute shops, vintage buildings, and lots of people out and about – perfect for touring on a warm night. They chose a great spot to settle, undoubtedly, but it’s clear that they’re not done having adventures. Chelsey researches and reads travel blogs to plan amazing hiking and camping trips, finding hidden gems all over the country. We were so excited to learn that they’re planning to honeymoon in the same country we did, New Zealand! We swapped travel stories over a drink at the local Irish pub later and they totally had us beat. They helped a friend with a proposal during a camping trip. They took a beautiful hike and suggested a picture at a scenic spot. Chelsey and Brett took a picture together and then took the camera to, supposedly, take the same shot of their friends. 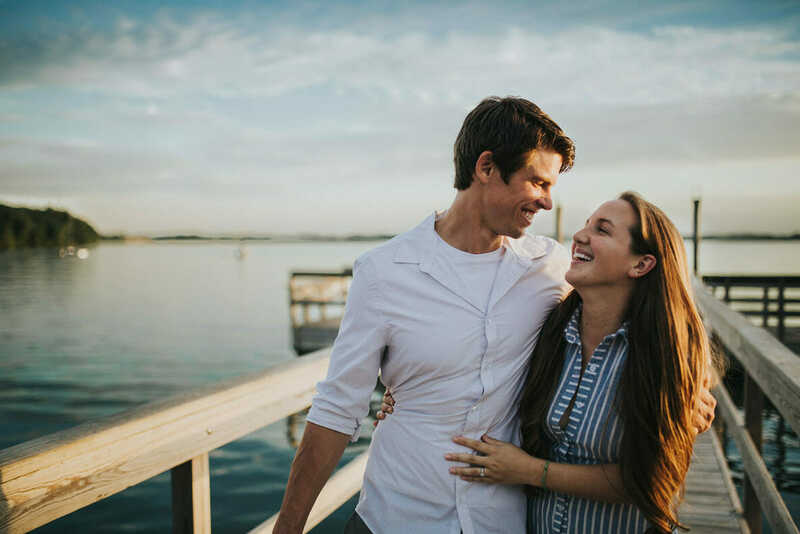 Instead of posing, their friend proposed and Chesley and Brett were there to document the moment!